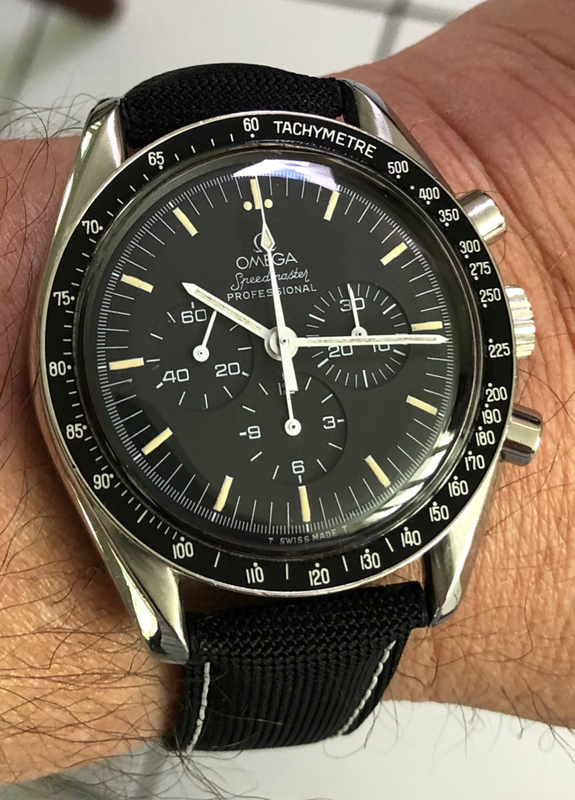 Any 3592.50 Owners and Speedmaster Experts Help!! 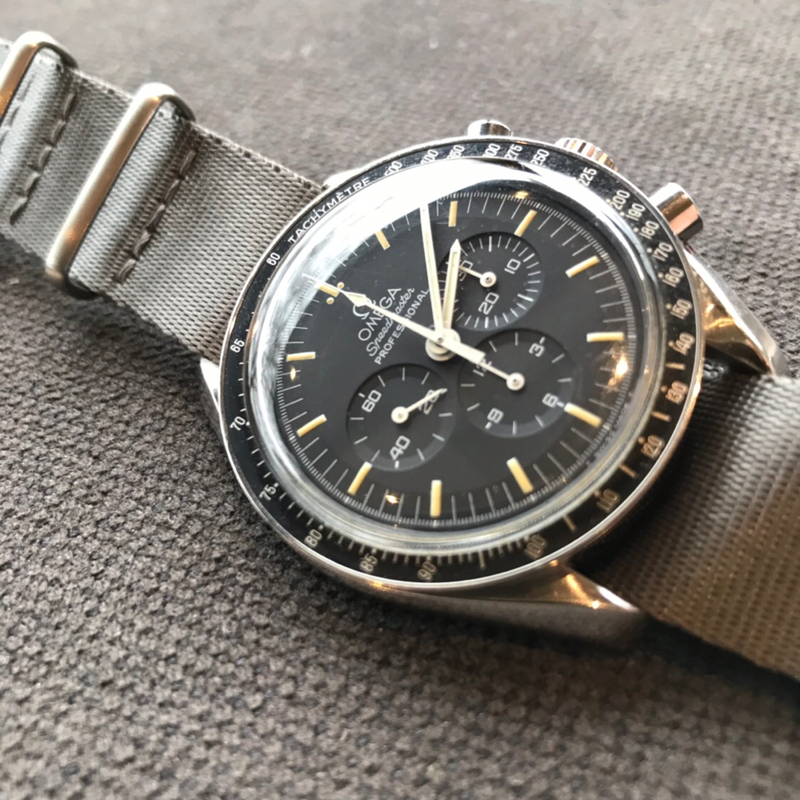 Thread: Any 3592.50 Owners and Speedmaster Experts Help!! 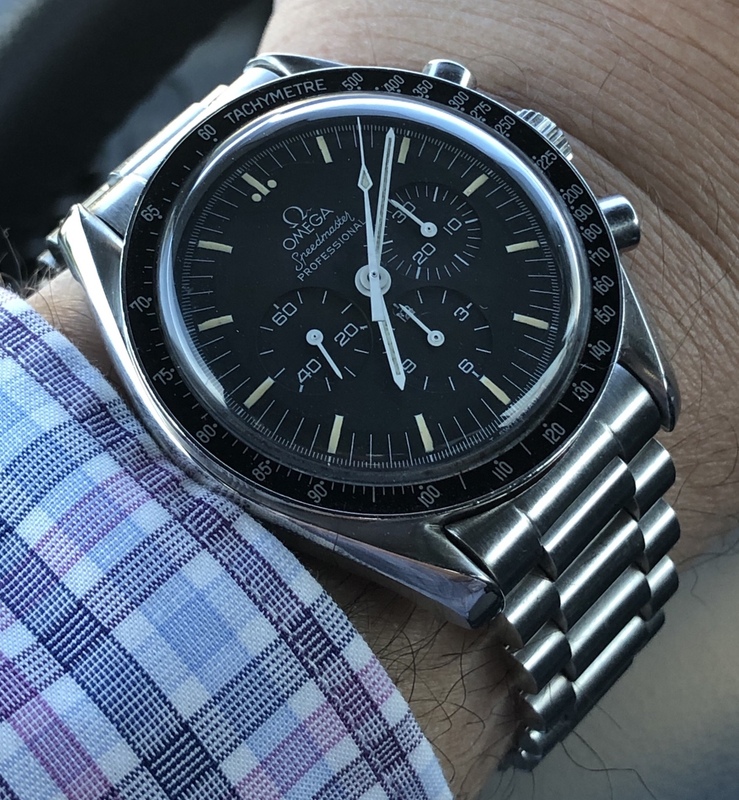 I've been looking for a decent 3592.50 Speedmaster for a while now and came across this one. The reference number checks out on a serial number range website I came across. The movement looks good from the photos as does the dial and bezel. I'm pretty sure the strap and clasp are fake though with the awful OMEGA on clasp and strap looks different. I believe this watch should come with a bracelet? 1450? The watch is from 1996 and I'm not familiar with watches from back then. ~Maybe I'm over thinking it? I'm in no rush and I want a decent example. Some photos as I'm not sure I can post a link to sale on here. fskywalker and HiggsBoson like this. 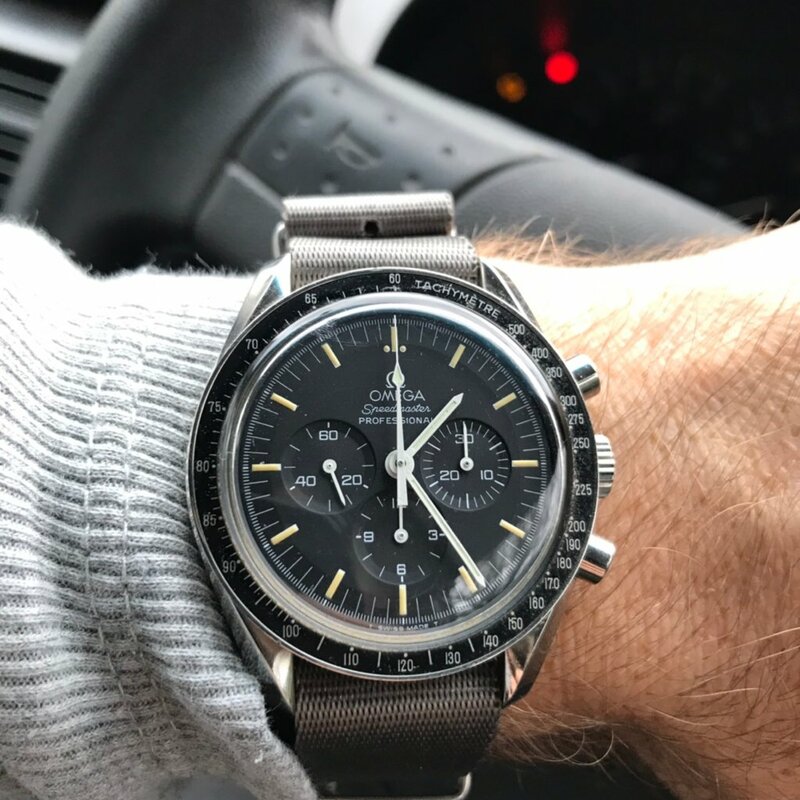 Re: Any 3592.50 Owners and Speedmaster Experts Help!! If it originally came with a strap, the ref would be 3892.50? 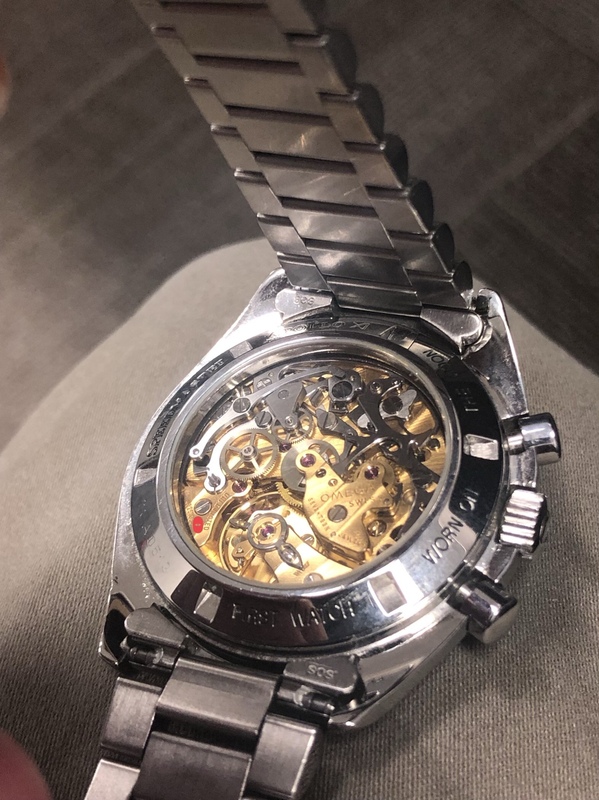 Does the watch head look genuine etc? Hi Dan. The pictures are blurry so would ask the seller for better pictures. From what can see seems to be a 3592.50 non-numbered edition as the serial number falls in the correct range (48251XXX - 48315XXX) with a type C5 dial (short S) in good shape. 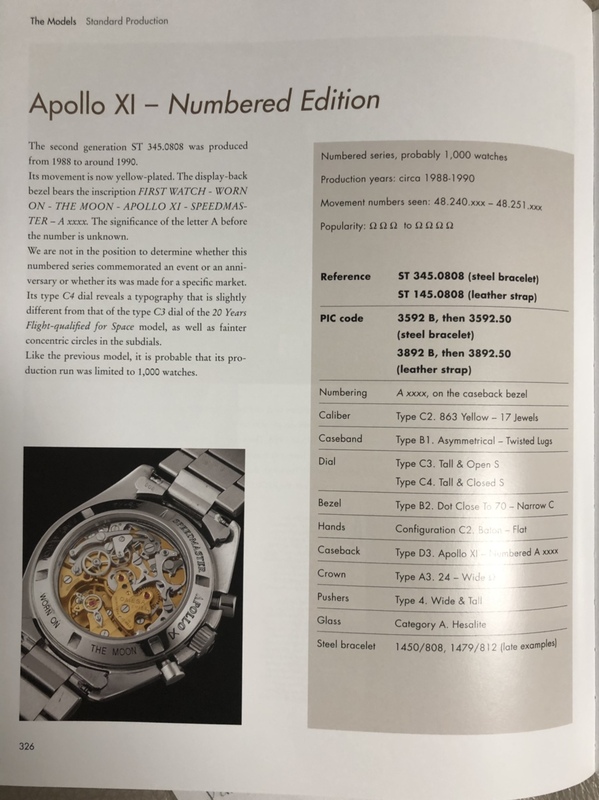 As for the bracelet the Moonwatch only book mentions 2 potential bracelets for them: leather band (would be 3892.50 as pointed by @watchvaultnyc above) or the steel bracelet reference 1479/812. The 1450/808 bracelet was available on the numbered edition 3592.50, along with the 1479/812. How much is the asking price? Last edited by fskywalker; March 3rd, 2019 at 14:20. Thanks for your reply. I actually went with a little blind faith and won the auction!! I got it for an amazing price too compared to all the others I’ve seen listed. I’m not a bracelet guy so I’m not fussed. It’s currently on a Cincystrapworks NATO which looks fine until I choose some others to buy. So happy I went with this reference. fskywalker, HiggsBoson, JP(Canada) and 2 others like this. Sweet Dan, welcome to the club! You had a lot to do with me getting this reference with your incoming thread a while back! Also Bas from Bas & Lokes leather straps has one and I spoke to her a fair bit about it. fskywalker and JP(Canada) like this. Zenith and Vintage Experts, Help Needed! 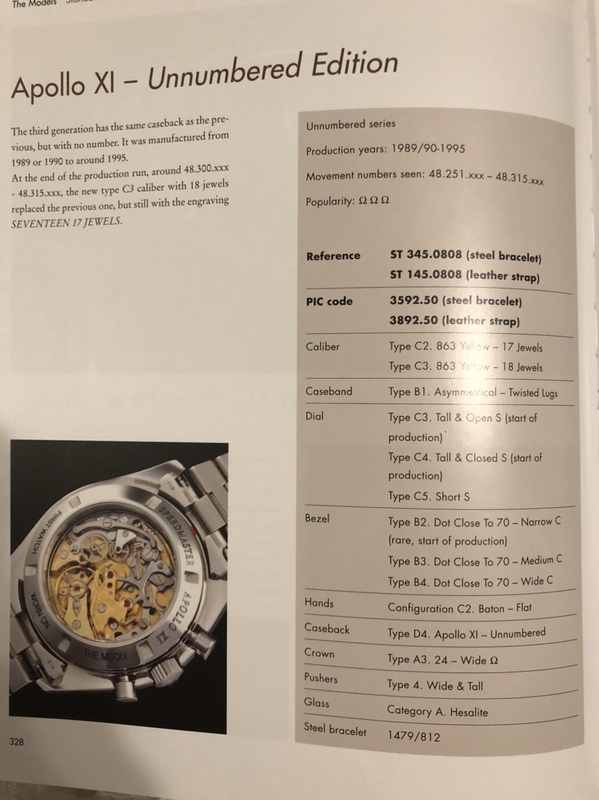 Help Need From Vintage Experts And IWC Experts. 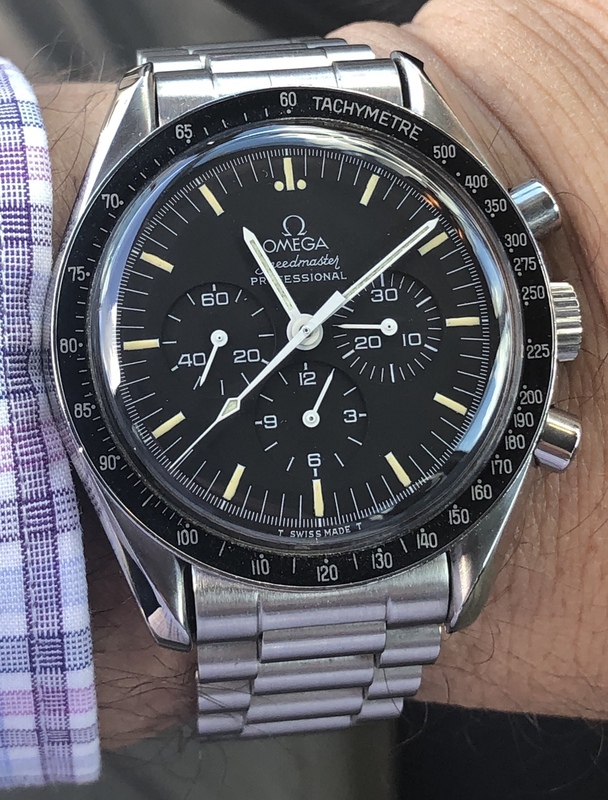 Any advantages/disadvantages between the Speedmaster 145.022 and 3570.50?